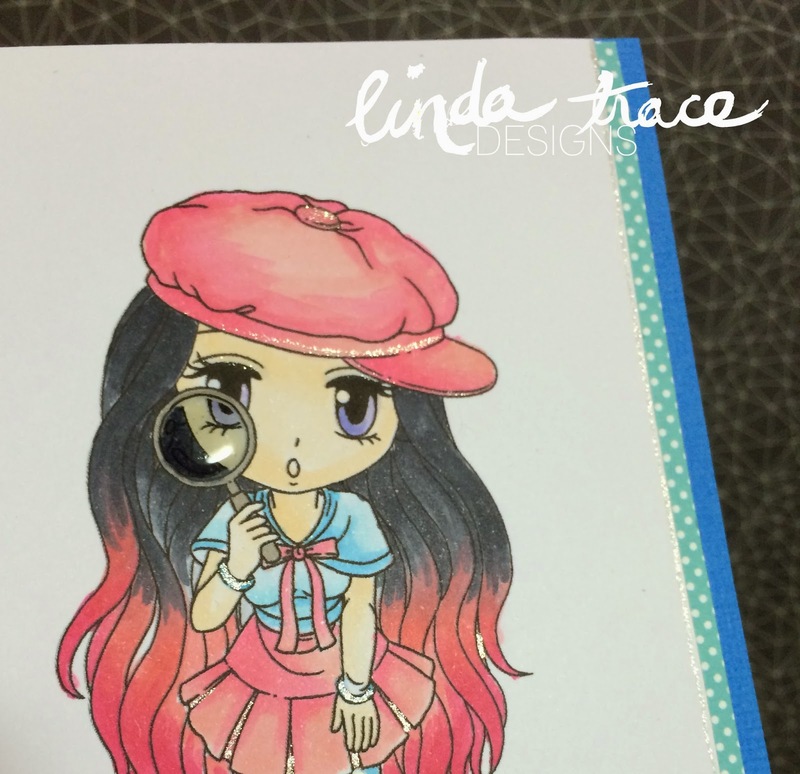 I copic coloured her in and gave her fun pink hair, and when I was done, I added some glossy accents to her magnifying glass and Wink of Stella Glitter Pen to her skirt and hat. I also added polka dots to her little shorts. the 'oh!' sentiment is using Lawn Fawn stickers from long long ago. The inside will have a forgotten birthday/occasion sentiment which I'll add when I need it. Please check out the rest of the DT's work, it's amazing! And be sure to enter the challenge, you could win! This is really cute. I am searching for your cherry blossom card for the Hero Arts embossing challenge. I must be clicking on the wrong links :? 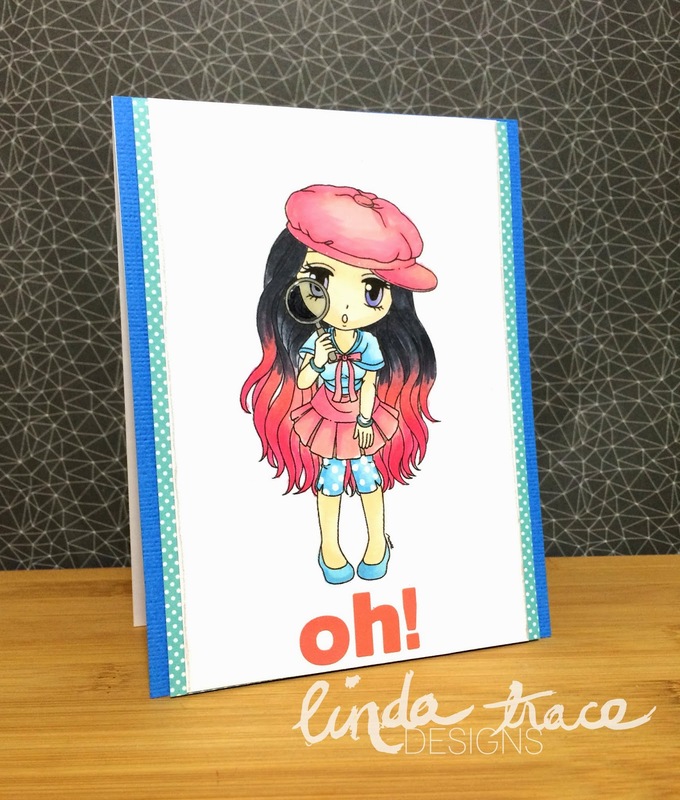 © LINDA TRACE DESIGNS: oh!